First of all, no one is sure why we dream. During the past century, however, scientists have made significant progress in understanding the factors that influence sleep and dreaming. First of all, no one is sure why we dream. During the past century, however, scientists have made significant progress in understanding the factors that influence sleep and dreaming. Evidently, our nights are influenced by what we're doing during the day. We spend our days gathering information, some of it we would like to keep, most of it we need to discard. If we do not clear out our mental storage space regularly we risk saturating our brain with too much useless trivia. In order to fully process this information, we need to shut our brain down; disconnect it entirely from the outside world. The challenge is that we only have one brain to work with. About two millions years ago (that's the current guess) brains became sufficiently complex that they were able to solve the problem of memory processing by dividing the night into two types of sleep, one is now called slow wave sleep (SWS) and one is called rapid eye-movement (REM) sleep. 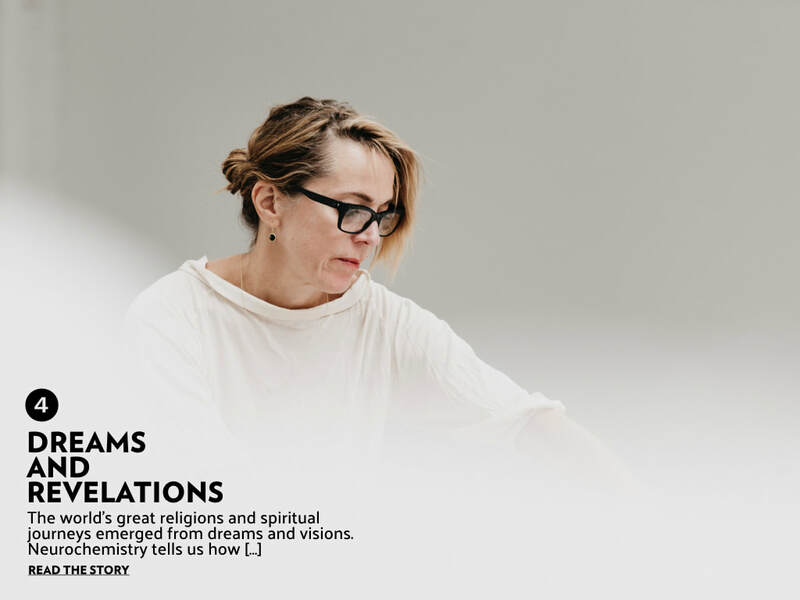 We can, and do, dream in either phase of sleep but the characteristics of our dream differ greatly; the curious and unique features of SWS and REM have taught us a lot about why we sleep or dream at all. During the day, many of the things we learn are stored in a structure called the hippocampus. Then, while we are in SWS the hippocampus is busy showing movies to our frontal cortex. What's odd about these movies is that they are very compressed packets of information; events are transpiring at over ten times normal speed in these packets. During SWS, our dreams are often more static, involve older memories or are quite emotionally charged. If you've ever dreamed of being buried alive, or of having a beast sitting on your chest, you were likely in SWS at the time. For most people, nightmares, bedwetting, sleep-walking and night terrors occur during SWS. Then, as we transition into REM our hippocampus is shut down to allow our frontal cortex to process the newly deposited information. Surprisingly, the presentation of events to be processed occurs in almost real time. We experience this processing during REM as a narrative dream that feels "real." What's happening in the cortex? For one, REM sleep facilitates the use of prior information for creative problem solving, thus our cortex is busy filtering out the useless memories in favor of useful ones. 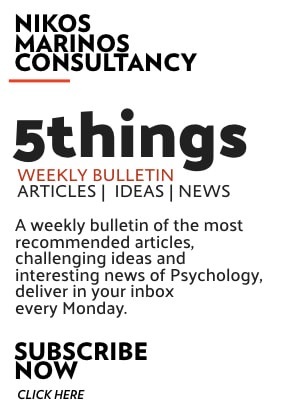 Often, stronger emotional content helps to consolidate long-lasting memories. Overall, recent studies suggest that we require a balance of both phases of sleep, SWS and REM, in order to consolidate memories for future use. Thus, it is not the quantity of sleep that is important; rather, the quality of sleep is more important for making new memories. Unfortunately, lots of things interfere with the quality of a night's sleep. The content of our dreams is influenced by our age and gender. Females often report seeing lots of bright colors; sometimes they report seeing colors that actually glitter or glow, usually during the peak of menstruation. Females usually report that they know the identity of their sexual partners in dreams and they report seeing the face and hands of their partners. In contrast, males rarely report seeing colors and if they are present, the colors are washed-out pastels. Males rarely report knowing the identity of their sexual partners in dreams and do not report actually looking at the face of their partners even if they believe they are familiar. Objects and people in dreams are familiar. For example, if you have never met me then you have never seen me in a dream. Also, no one on this planet has ever seen a true alien from another planet in their dreams. The events of our lives form the components of our dreams; we can mix them up to dream new objects or experiences, but the parts are always familiar. 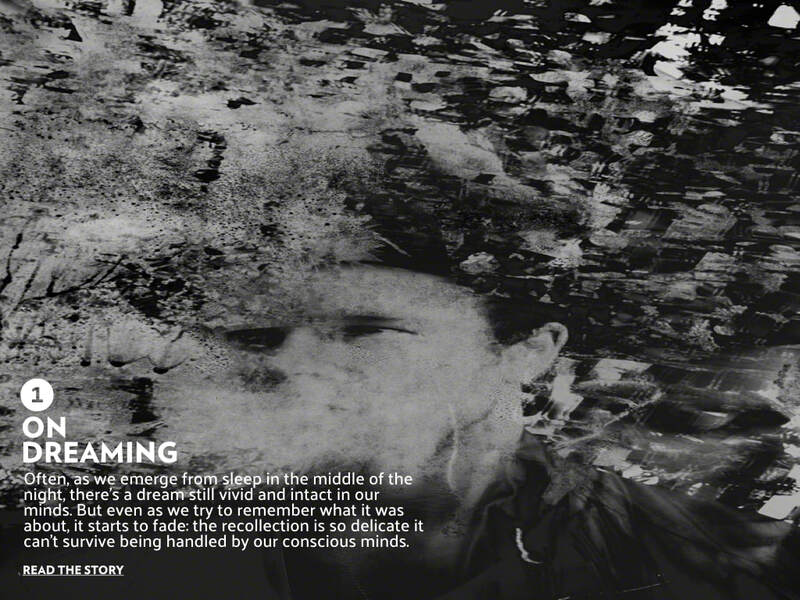 Also, the content of our dreams often reflects our waking conceptions. If you're a Republican during the day, you're not likely to see yourself as a Democrat in your dreams. We probably have our best sleep when we're about 8 to 10 years old. From there on, sleep quality worsens in subtle ways that become more profound as we age. Unlike adults, only about twenty percent of the time does a child under 8 years of age awaken from REM with a dream recall. If children at this age do report dreaming the content is often static and bland and not animated or emotional. Dreams do not regularly include the dreamer as an active participant until after 7 or 8 years of age. This suggests that dreaming evolves along with other cognitive developmental processes at this stage of life. Who we sleep with also influences sleep quality. Couples sleeping in pairs were investigated for sleep quality, i.e. the correct balance of SWS and REM, as well as their subjective view of how they slept. Sharing a sleeping space with a partner had a negative effect on sleep quality for the women. However, if the couple had sexual contact prior to sleeping, this mitigated the women's negative subjective report, without changing the objective results, i.e. her balance of SWS and REM were still abnormal. In contrast, the sleep efficiency of the men was not reduced by the presence of their partner, regardless of whether they had sexual contact or not. However, unlike the women, the men's subjective assessments of sleep quality were lower when sleeping alone. Thus, men benefit by sleeping with women; women do not benefit from sleeping with men, unless sexual contact precedes sleep - and then their sleep suffers for doing so. 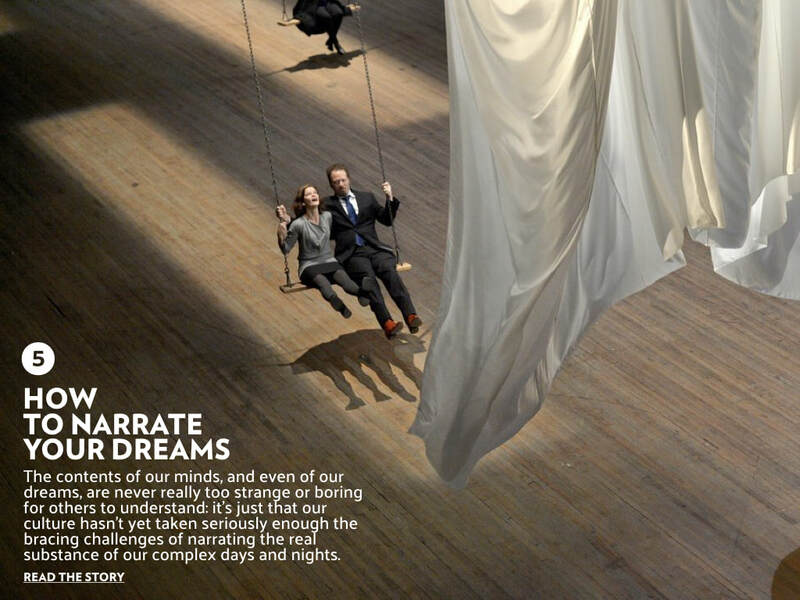 Our dreams emphasize visual perception and emotions at the expense of reason. 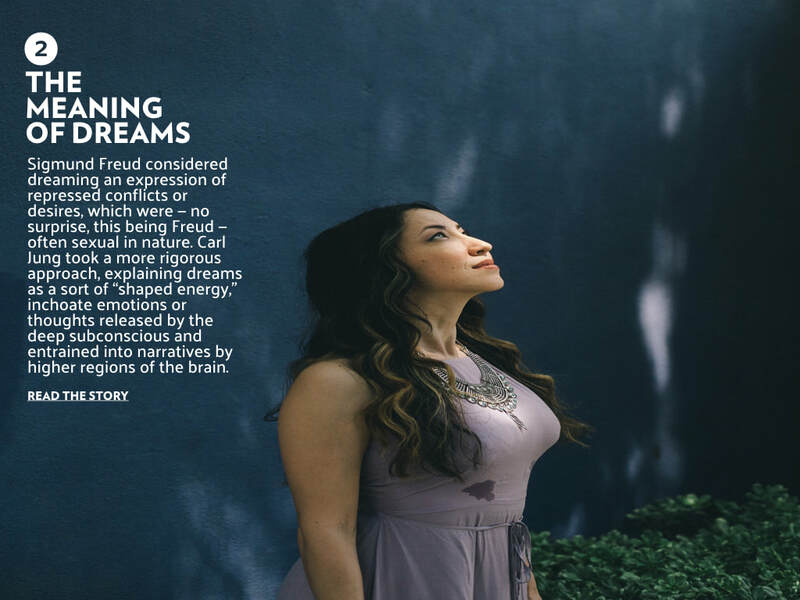 Although our dreams feel as though they are agent driven, our dreams are not volitional nor do they contain the self-reflection, insight, judgment or abstract thought that constitute consciousness. However, a small percentage of dreamers have a vastly different experience - they are actually in control of their dream narrative. We call these people lucid dreamers. PET studies suggest that in order to be present and conscious in our dreams, the frontal cortex must be activated in a manner that is similar to being awake. One day science may understand how this happens and teach us all how to take control of our dreams.